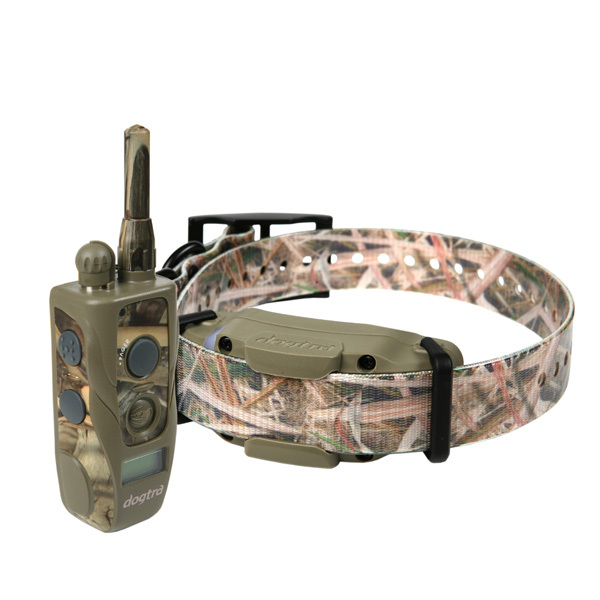 The Dogtra 1900S Wetlands is designed for the wetland hunters in mind, offering 3/4-mile range with high output stimulation in 1-127 levels, coated in ideal camouflaged pattern for wetland hunting. 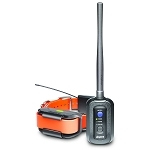 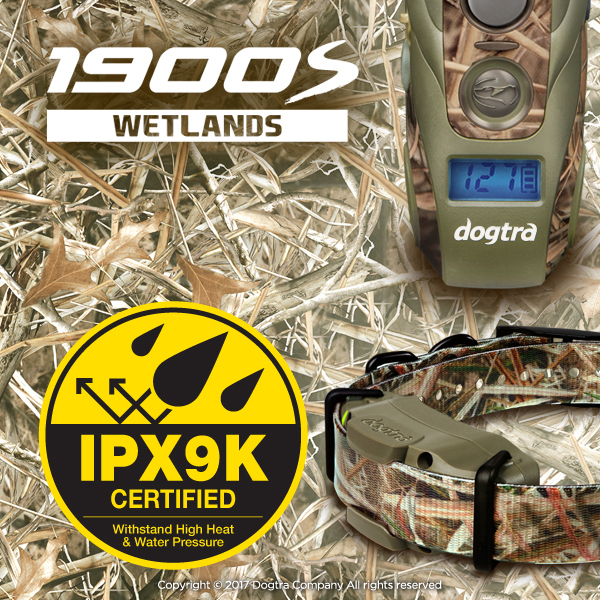 The 1900S Wetland's receiver is IPX9K certified waterproof to withstand high heat and extreme water pressure, proving its durability and dependability for the most demanding conditions. 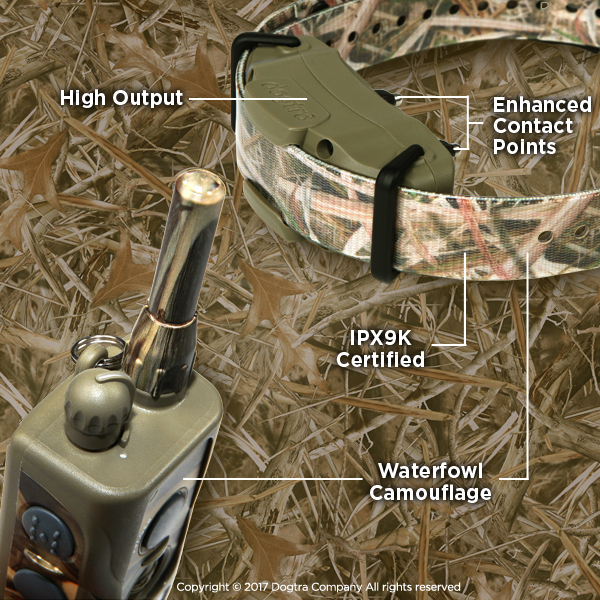 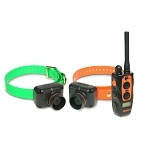 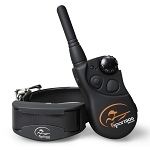 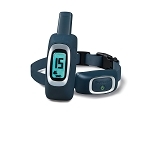 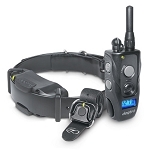 This high output Dogtra 1900S Wetlands e-collar is the unit of choice for serious amateurs or award winning professional trainers and hunters. 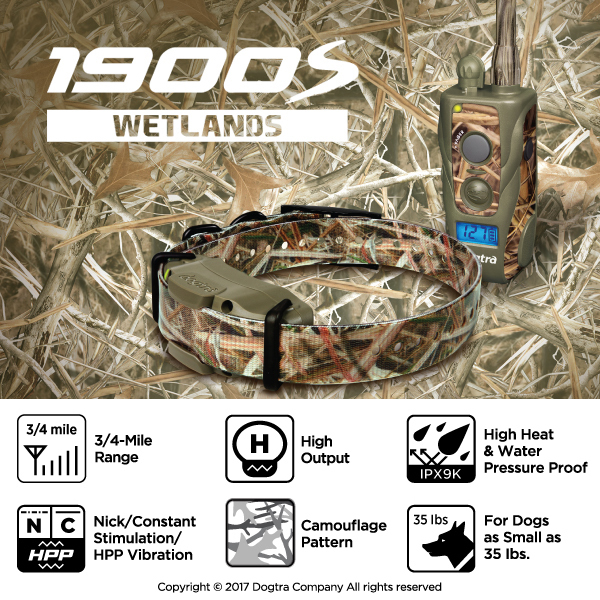 The 1900S WETLAND is a 1-Dog system only.